The Odessa Barb (Puntius padamya) is one of the more highly sought after freshwater tropical fish as their colors can match those of some saltwater varieties. Their color patterns consist of golds, reds, blues and greens, and seeing a school of these fish dart about the tank is truly impressive. They’re not as readily available as some of the other barb fish, but if you want a truly beautiful and attractive fish for your tank, they’re well worth special ordering. 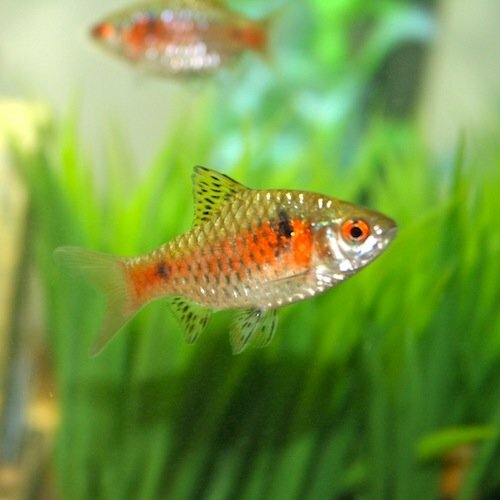 The Odessa Barb hails from the waters of Indonesia and Sumatra. They’re a small fish only growing to about 3 inches in size. Although the Odessa Barb is a small fish, they are a schooling fish and prefer to be in groups of 5 or more. You can make do with a tank of 20 gallons, but 30 gallons is recommended to give them some breathing room, especially if you’re housing them in a community tank. Also, because they need a lot of room to move, consider giving them a tank that’s longer rather than higher. While they’re not picky about tank decorations, they do inhabit areas with rich vegetation so take that into consideration when you’re planning your tank. Just be sure not to plant too much otherwise they won’t have room to swim. Also, a dark substrate will cause these fish’s colors to intensify. Water quality is as follows: 70-78˚ Fahrenheit, pH 6.5-7.5 and 2-10 dGH. 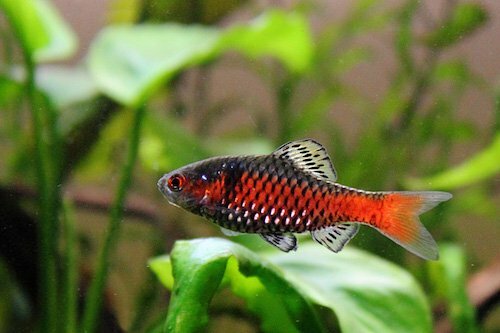 The Odessa Barb is relatively peaceful and tends to leave their tank mates alone, however, they will nip at one another and occasionally at other, slower moving fish, so beware if you’re housing them with angels. 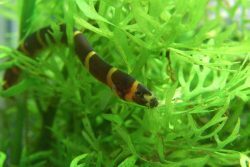 Like many barb fish, the Odessa Barb is very hardy and easy to care for. They don’t succumb to fish diseases easily, but you still have to be vigilant about maintaining good water quality. 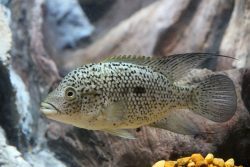 Given the wrong conditions, these fish can get sick just like any other freshwater tropical fish. The most common disease affecting this fish is Ich, which is also called White Spot Disease. This can be brought on by poor water quality, a poor diet, stress and bacteria that comes in from the outside. It’s said that an ounce of prevention is worth a pound of cure, and that’s especially true when it comes to preventing fish diseases. If you’re vigilant about maintaining proper water quality, feeding them a nutritious diet and quarantining anything you bring in from the outside before placing it in your tank, these fish should live happily and disease free for as long as you keep them. As with most barb fish, the Odessa Barb is an omnivore and likes both plant and animal foods. 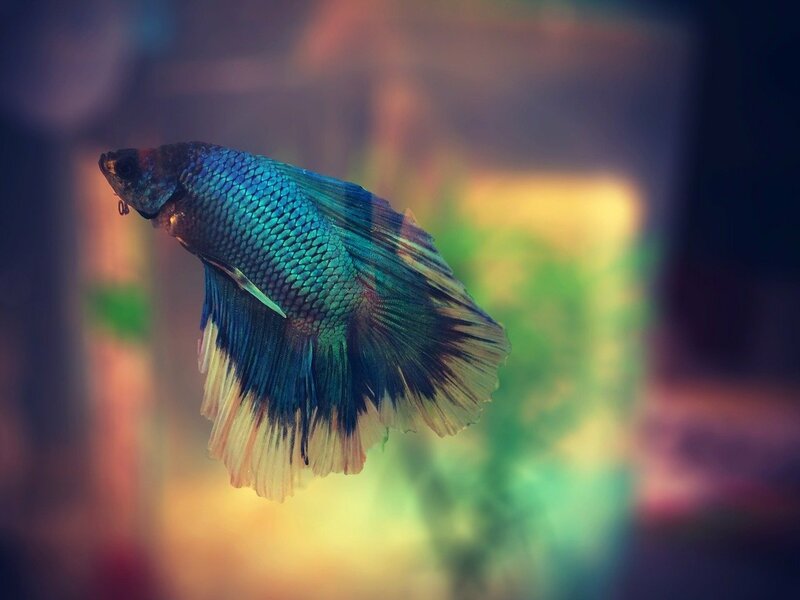 In the home aquarium, you can keep these fish healthy with a high quality flake food as the main portion of their diet, and then supplement that with meaty foods such as brine shrimp or worms. You can also add in foods designed with color enhancers from time to time as well. A good rule of thumb when it comes to feeding is to feed these fish no more than they can consume in 3 minutes or less, and plan on feeding them about 3 times a day. Any wasted food should be cleaned up immediately to cut down on water pollution. 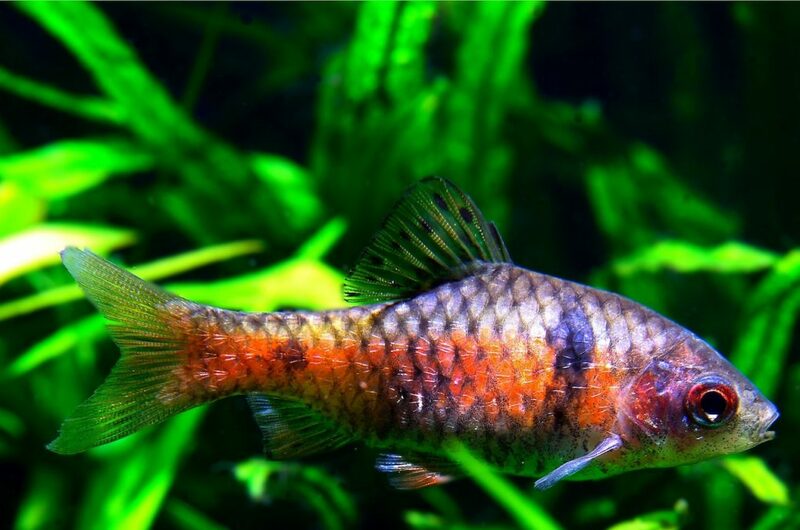 If you’re just becoming interested in breeding fish, then the Odessa Barb is a good choice as they’re very easy to breed in the home environment. Many people say you don’t have to do anything special other than putting a group of these fish together along with some leafy plants and breeding happens. That’s a bit of an oversimplification, though, because like most barb fish, the Odessa Barb should be placed in a specialized breeding tank outside of the community tank. As with most barbs, these fish are egg scatterers and will scatter their eggs all over the substrate. Plan on lowering the breeding tank’s pH a bit and be sure to remove the adults as soon as spawning occurs or else they’ll eat the eggs. The fry should hatch in a little over 24 hours and you can begin feeding them infusoria or a good liquid fry food. Also, make sure to maintain perfect water quality as they fry are very sensitive to abrupt water changes and can die as a result of water quickly becoming foul. 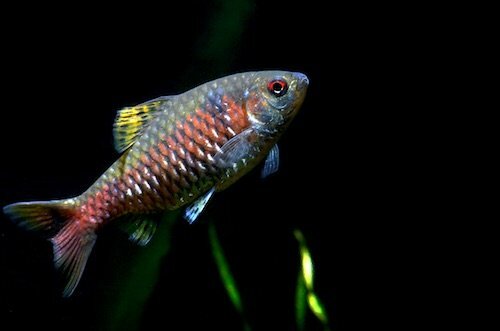 The Odessa Barb is one freshwater tropical fish you should seek out if you’re a beginning hobbyist and want something really beautiful for your tank. Their coloring is among the most vivid of the tropical fish species and they’re very easy to breed and care for. They do well in a community tank and a group of these will look great with the room lights off and only your tank for illumination. With the proper care, these fish can live for 3 years or longer.